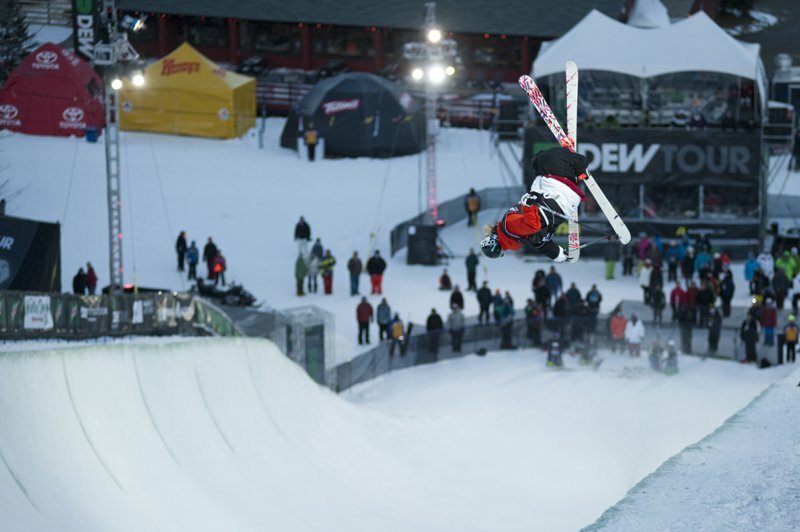 Amidst rapidly dropping temperatures and an increasingly hardening pipe the men threw down in hopes for one of the remaining nine spots in Saturday&rsquo;s nationally televised (NBC 12pm &ndash; 3pm EST) finals tonight during Superpipe Prelims. 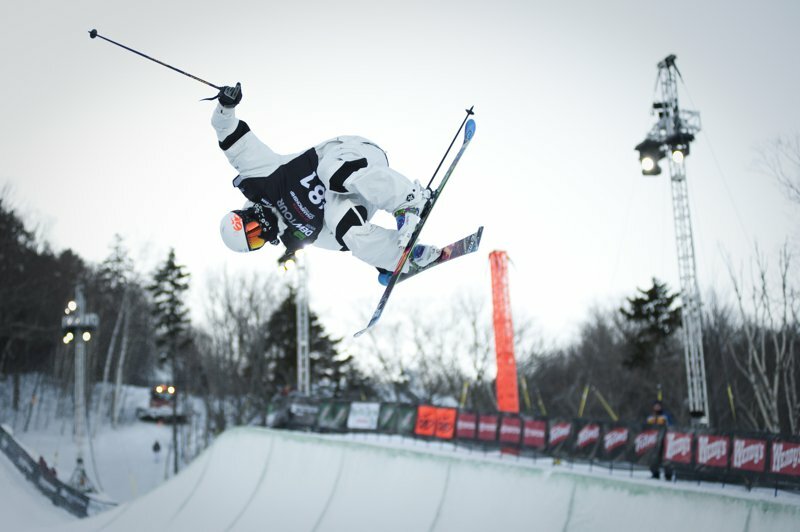 While the pipe wasn&rsquo;t in top form, requiring a finishing cut before the finals go down, the athletes still put on a show with a constant one up battle bumping one after another over the bubble and into the dreaded tenth place position. 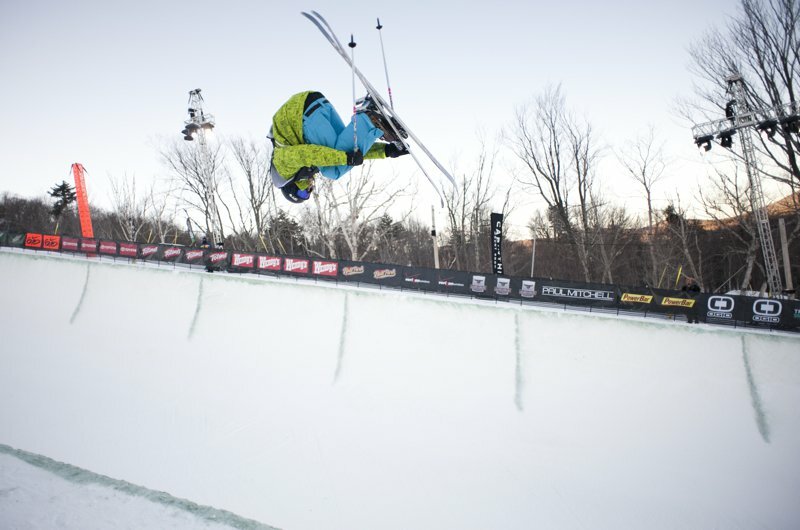 While competition was stiff it was clear that the athletes were still getting their feet under them adjusting from last weekend&rsquo;s X Games pipe, which boasted 22-foot walls as compared to Mount Snow&rsquo;s 18. And while amplitude dwindled, the technicality was obvious as they battled the conditions trying to post the best score possible. 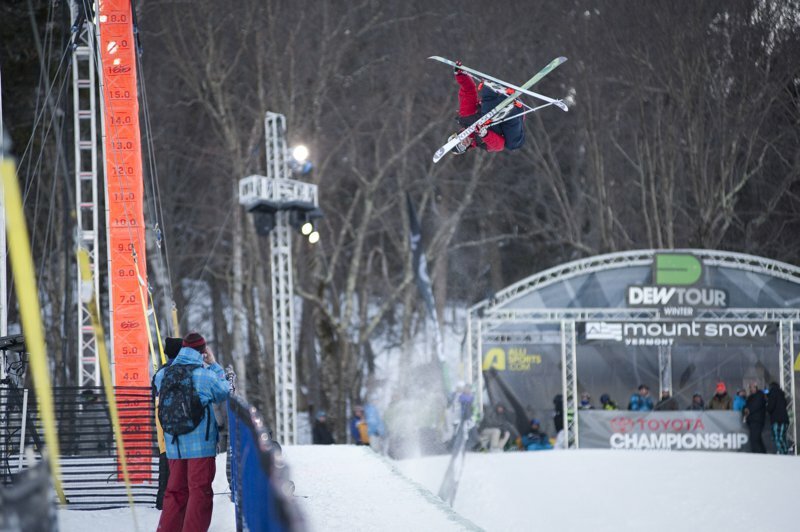 Following Joss Christensen, Byron Wells came out both swinging and boosting on his first run. Starting things off with a 9 followed by an alley-oop flatspin 5, to 9, to right 3 to switch 9 and upping the technicality throughout the day, Byron proved that consistency would prevail throughout the night with a first run score of 83.75, which would eventually lock in the fourth place spot, qualifying him to join his brother Jossi who is currently the Dew Tour points leader in pipe in the race for the Dew Cup. 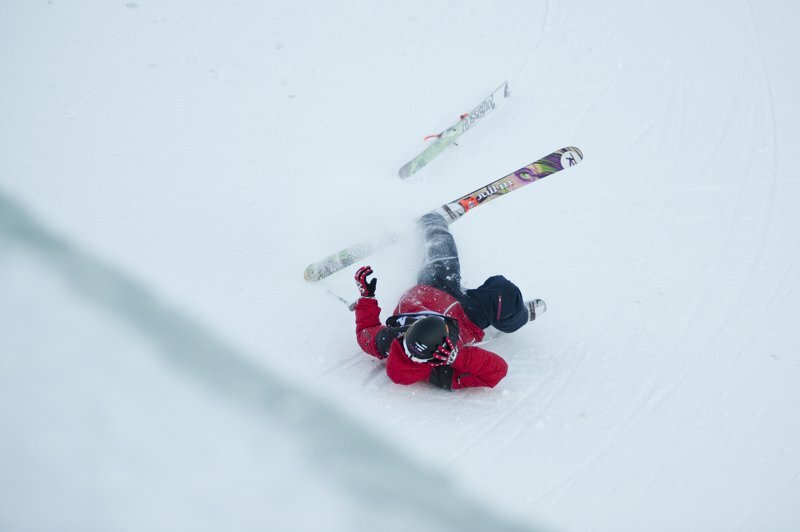 Many athletes played it safe, causing the first run to see a number of low scores that for some would be thrown out for a more competitive set of runs to follow. Notable mentions definitely go out to those who managed to maintain their first run score to stay within the bubble. Most competitors averaged a four-hit run and during his first Walter Wood shined through with a left 9 followed by a right 9 to left 5 and ending things off with a stylish alley-oop flat 5 that would earn him a score of 79, which would push him through to the finals in 6th place. Tyler Peterson then definitely threw down a solid first run of his own, boosting more amplitude than a large portion of the field with a five hit run that included both left and right 9&rsquo;s and capped off with a solid right 10. 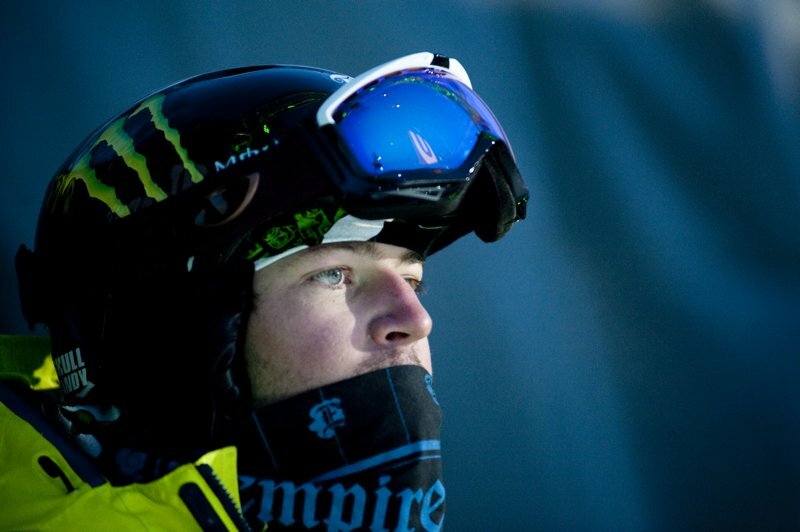 Again his first run score would hold strong, pulling him into the 5th place position just ahead of Wood. Pipe staples Justin Dorey and Matt Margetts held onto their first run scores as well, earning 86 and 85.75 respectively, which was ultimately good enough for the first and second qualifying spots. 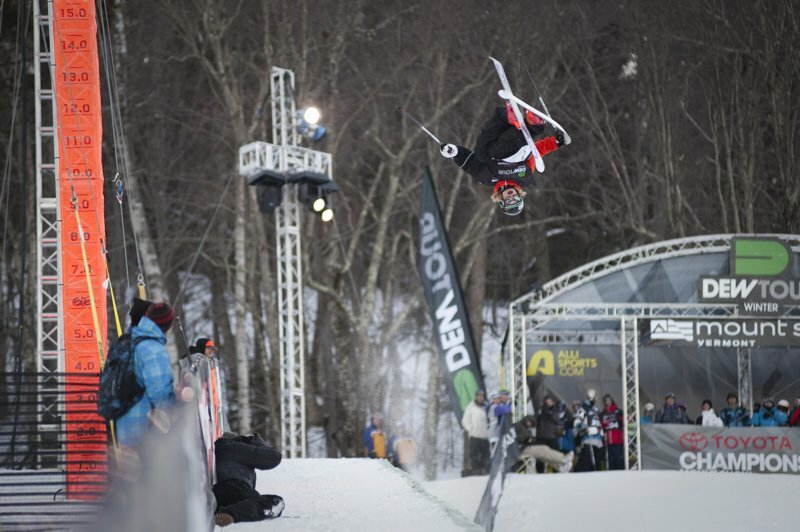 X Games gold medalist Kevin Rolland went down hard on the first run, catching the lip on a switch landing that threw him violently to the bottom of the pipe, leaving room for improvement moving into the second round of runs. As the field moved into the second go around the competition tensed up as people were gunning hard for those nine spots. Things began heating up beginning with long time pipe staple, Colby West. Skiing to the tune of the Star Wars theme, West showed the solid style we have come to expect from him, finishing things off with a light saber display as he finished his run with a score of 69, landing him on the ninth spot and right side of the bubble. 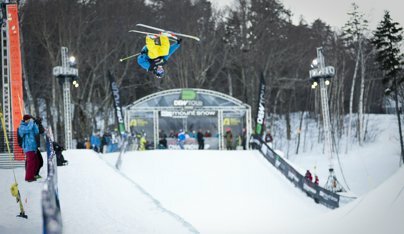 As West watched his peers move down the pipe, knowing he had to outlast some solid contenders, it was fellow pipe veteran Peter Olenick who would finally bump him out of the bubble spot and into the tenth position with a run that with a little more finesse would under normal circumstances have solidified a position in the finals. Starting things off with a lofty alley-oop flat 5, followed by a left 9 to right 9 to an air to fakie and finishing things off with an alley oop 9. Kevin Rolland followed and although putting forth a solid effort did not manage to bump Pistol Pete out of the bubble spot and failed to qualify for the finals. Coming down to the final two skiers Matt Duhamel failed to qualify as well, but the story of the night was Mike Riddle. Riddle, who is currently 4th in the point standings for the Dew Cup, came into the final run with a first run score of 17 hanging over his head after a big crash. Coming through on his final run he started things off with a big flare, to right 9, to left 9, into an alley-oop flatspin 3, and finished things off with a super tech switch 9. His offering was good enough to earn him third place with a score of 84.25, not only qualifying him for the finals but also bumping Peter Olenick outside of the bubble. All in all the prelims (in which no doubles were attempted) were a good precursor to Saturday&rsquo;s finals and should prove a great comp to watch, so be sure to tune into NBC to watch it live and to NS for all the up to date coverage. 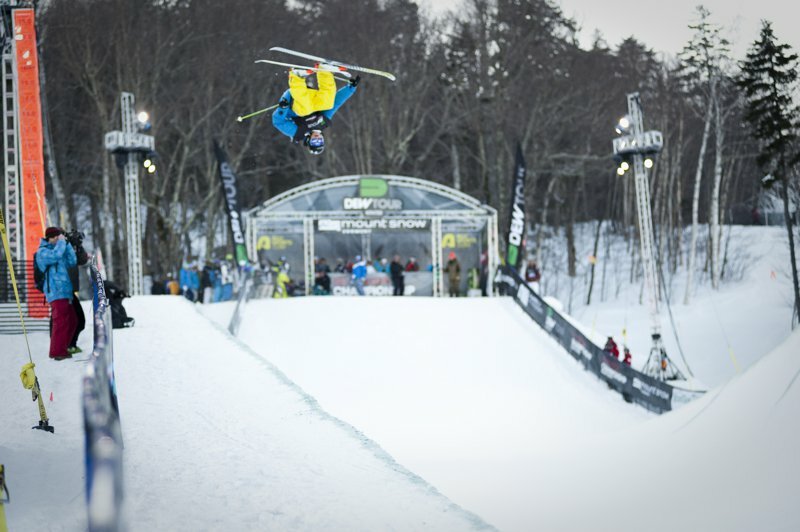 Also be sure to come back tomorrow for coverage on Slopetyle Finals, where H&aring;tveit and Wallisch will be looking to battle it out for the Dew Cup with Bobby Brown, Sammy Carlson and many others hot on their heels in the overall standings. Check them out to truly understand how close this competition is. 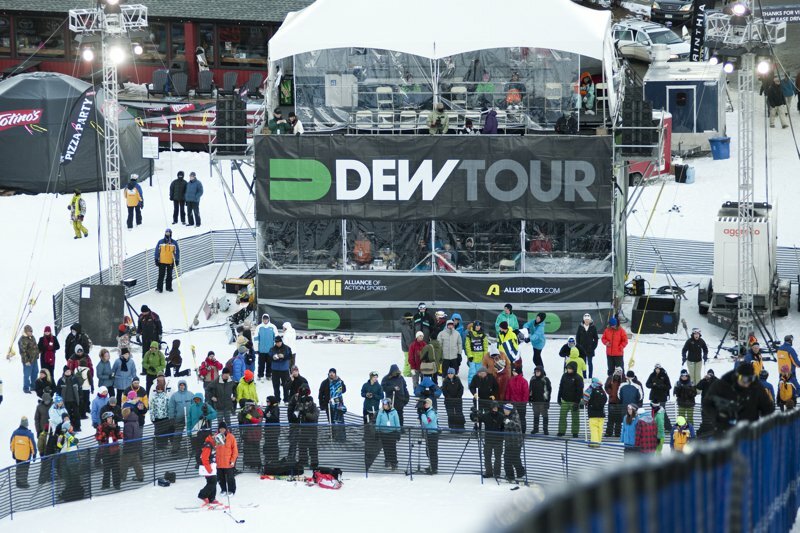 Top 9 advance to Saturday's finals where they'll meet Jossi Wells, Simon Dumont and Xavier Bertoni, who are top 3 in the Dew Tour pipe standings and already pre-qualified for finals.